When a small-press or self-published author announces a new book on Facebook, s/he has a reason for posting information about it. When early reviews come in, there’s an opportunity for more posts. So, too, later on if the book is a finalist or a winner in a competition. Giveaways and book sales also help get the word out. But once a book is several novels or poetry collections into the past, it becomes more difficult to think of relevant things to say that don’t sound like SPAM. My publisher, Thomas-Jacob Publishing, has helped fix that problem by creating Facebook cover pictures that display all of an author’s titles. Sometimes the book covers are arranged with an interesting background; sometimes they appear on shelves. These covers can sit at the top of an author’s profile or page for weeks or months, keeping previous titles in the public eye during times when there’s no legitimate news to post about the older titles. Or, as in Melinda Clayton’s cover photo, you can use a quotation from an earlier book. Thomas-Jacob Publishing is offering free copies of Melinda Clayton’s novel Making Amends to those who sign-up for our newsletter via the InstaFreebie site. This offer is good through the end of this month. Just enter you name and e-mail address, and then choose the file type you want: MOBI, EPUB, or PDF. We promise not to send you a deluge of stuff. We hope you’ll like what we do send: announcements of new books, a few poems, and a bit of news. On a beautiful fall evening, in the middle of a game of hide-and-seek, five-year-old Bobby Clark is kidnapped by his estranged father, a shiftless man with a history of domestic violence and drug abuse. Bobby’s twin brother Ricky watches, terrified, from his hiding place behind the bougainvillea, while mother Tabby, who also struggles with addiction, lies inebriated on the living room floor. Bobby isn’t seen by his loved ones again until a fateful morning twenty-five years later, when video of his arrest dominates the morning news. He has been charged with the murder of his father, but before the trial can begin, he manages to escape. As Tabby and Ricky absorb the news of Bobby’s return and subsequent escape, Tabby is convinced he’ll come home to the quiet Florida street from which he was taken so long ago. But when events begin to spiral out of control, she’s left to wonder: is a child born to be evil, or shaped to be evil? And in the end, when it’s time to make amends, does it really matter? I hope you enjoy the book and the Thomas-Jacob newsletter. The next issue should be out near the end of this month. Few of the eccentric inhabitants of her father’s Main Line, Philadelphia estate have much time for Fleur Robins, an awkward child with a devotion to her ailing grandfather, a penchant for flapping and whirling, and a preoccupation with God and the void. While her mother spends much of her time with her hand curled around a wine glass and her abusive father congratulates himself for rescuing babies from “the devil abortionists,” Fleur mourns the fallen petals of a rose and savors the patterns of light rippling across the pool. When she fails to save a baby bird abandoned in her garden, a series of events unfold that change everything. Lena, a shamanistic cat, and her conjure woman Eulalie live in a small town near the Apalachicola River in Florida’s lightly populated Liberty County, where longleaf pines own the world. In Eulalie’s time, women of color look after white children in the homes of white families and are respected, even loved, but distrusted and kept separated as a group. A palpable gloss, sweeter than the state’s prized tupelo honey, holds their worlds firmly apart. When that gloss fails, the Klan restores its own brand of order. In 1955, at the height of alarm over the Emmett Till murder in Mississippi and after the Supreme Court ruling against school segregation, Associated Press reporter Rachel Feigen travels from Baltimore to Tennessee to report on a missing person case. Guy Saillot’s last contact with his family was a postcard from the Tennessee Bend Motel, a seedy establishment situated on beautiful Cherokee Lake. But they have no record he was ever a guest. When we use traditional collective nouns for groups of animals, we speak of a congregation of alligators, a colony of ants, a swarm of bees, a herd of buffalo, a clutter of cats, a murder of crows, a pod of dolphins, a flock of geese, a charm of hummingbirds and a pandemonium of parrots. Humorous collective nouns have been suggested for writers, including an absurdity of, an allegory of, a gallery of and scribble of. Some of the funnier suggestions are less than flattering. When I was interviewed for a regional magazine along with other authors from the county, the article was titled “A Truck Load of Authors.” We were all packed into a vintage pickup truck, a picture was taken, and the magazine had a great illustration. If this blog has a niche–or a partial niche–it’s books and writers. Since I read a lot, the batch of writers here has included a lot of reviews. Some of those were BIG PUBLISHING BESTSELLERS but most were not. 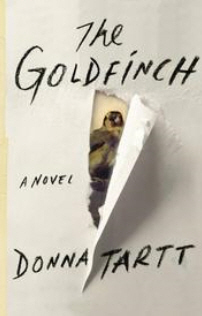 So yes, I reviewed Dan Brown’s Inferno and talked about Donna Tarrt’s The Goldfinch. I liked The Night Circus, The Tiger’s Wife, and Long Man a lot and you probably heard about those more than once. Of course I talked about my own books but, well, that’s because I can’t help it and I try not to go on and on about them even though I might be going on and on anyway. But, to move on. . . However, it was much more fun talking (in reviews or notes) about books by some wonderful authors you weren’t hearing about everywhere else, L. S. Bassen, Seth Mullins and Smoky Zeidel (who has a new edition coming out soon). 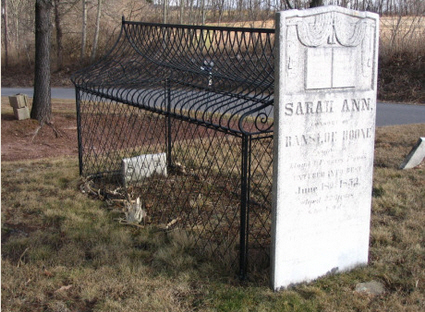 Sara Ann grave in PA. Bob Salerni photo. When an author has delved deeply into a subject while researching a book, it’s fun to have them to stop by and do a guest post. The most unusual guest post was author Dianne K. Salerni’s (“We Hear the Dead,” “The Caged Graves”) Mortsafes: Protection FROM the Dead or FOR the Dead? Spooky stuff. Interviews are something special because even though they are conducted via e-mail, my guests and I try to make they read very much like conversations. Most recently, Marietta Rodgers stopped by to talk about her debut book The Bill. Laura Cowan has been here twice, most recently to talk about her magical Music of Sacred Lakes. Nora Caron, a Canadian author lured into Mexico and the American southwest has written a wonderful trilogy that includes New Dimensions of Being. Melinda Clayton, a psychologist who’s now focusing her observational skills on fictional characters spoke about her novel Blessed Are the Wholly Broken. Two audio book narrators, R. Scott Adams and Kelley Hazen stopped by do tell me how they do what they do. Adams brought his talents as a dialects specialist to my novel Jock Stewart and the Missing Sea of Fire. Hazen brought her experience as an actress to narrate my three-story set Emily’s Stories. Diane Salerni’s research into Mortsafes made for a wonderful book in Caged Graves. Novelist Robert Hays used his background as a journalist and journalism educator to write the well-received nonfiction book Patton’s Oracle: Gen. Oscar Koch, as I Knew Him. Laura Cowan (“The Little Seer”) contributed a close-to-my-heart guest post Speculative Supernatural Novels and the Growing Fantasy Genre. 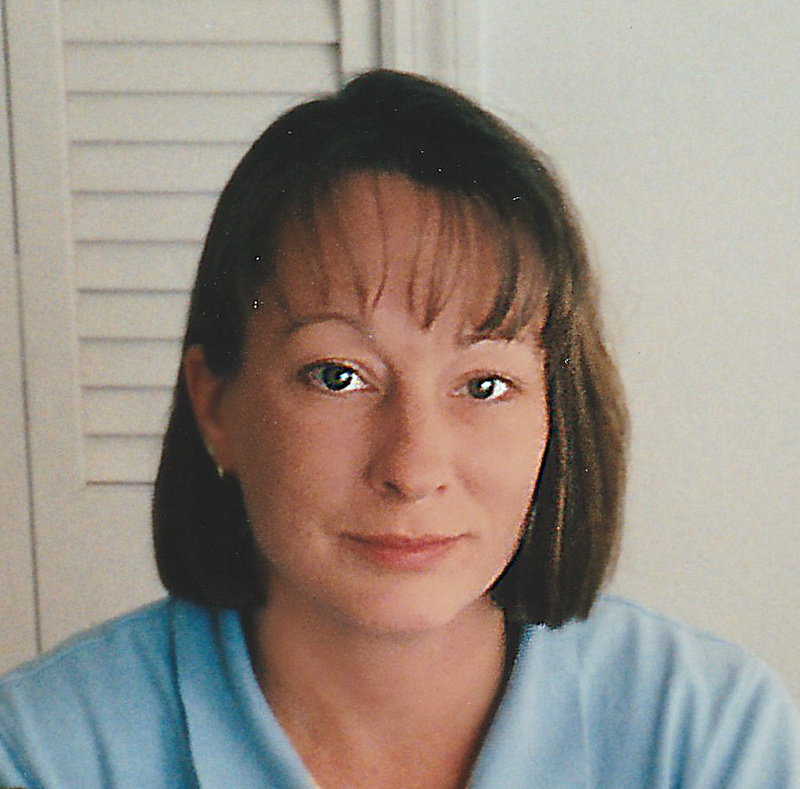 Novelist Pat Bertram (“Light Bringer,” “Daughter I Am”) also wrote the nonfiction Grief the Great Yearning which brings together her experiences with loss in an guest post called The Messy Spiral of Grief. Beth Sorensen (“Crush at Thomas Hall”) wrote a sparkling thriller/romance in her novel Divorcing a Dead Man. Helen Osterman worked as a nurse for 45 years. During her training, her rotation she witnessed hydrotherapy, Insulin coma therapy and electroshock. Her background served her well when when she turned to fiction writing in Notes in a Mirror. Vila SpiderHawk’s Forest Song novels are magical. She stopped by to talk about Finding Home. I thoroughly enjoyed Deborah J. Ledford’s Staccato, Marsha Forchuk Skrypuch’s Dance of the Banished and Rhett DeVane’s Suicide Supper Club. As you see, memory lane is a long street. It would be even longer if I kept better records, so I’m sure I didn’t find all of my interviews and guest posts. I’m planning to bring you some more new posts in the coming months. I hope you’ll stay tuned and, from time to time, sample the authors’ stories. “Shadow Days” is a delightful addition to Melinda Clayton’s popular “Cedar Hollow” series, featuring in this novel protagonist Emily Holt who suddenly leaves her home in Florida and runs away on the anniversary of her husband’s death. She ends up by chance and destiny in Cedar Hollow. The sheriff wonders if she’s crazy when he finds her and her broken-down car a few miles from town. After she finds a place to stay, she begins to learn about the town and its people. Readers who’ve been with the series since it began with “Appalachian Justice,” will recognize just about everybody. Those who read “Shadow Days” first will, like Emily Holt, learn who’s who as the plot unfolds. Emily has to come to terms with her husband’s death, the remnants of her life in Florida, her two sons who are off at college and don’t know where she is, and just who she is now in this off-the-beaten track town in West Virginia. 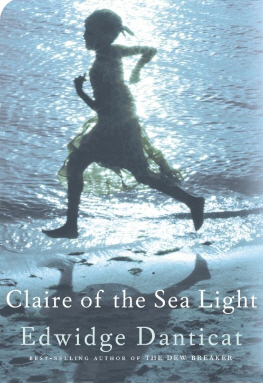 This is a well-told story with a cast of characters that increases in depth and scope as each new novel in the series is released. There are nice touches in the memories of characters such as collecting calendar towels and saving S&H Green Stamps. Very satisfying and hopefully not the end of the story. Self-publishing has made the world of books more democratic. Authors who never could find an agent or a publisher’s editor to give their books a chance in the traditional publishing world can now publish and distribute their books through such platforms as Smashwords, Kindle, and CreateSpace. While self-published and small press authors are no longer the black sheep who couldn’t get published by a “real publisher,” book marketing for indie authors partly includes re-training the reading public and partly creating a platform that makes the books worth the time and cost to the reader. When I talk to friends who are not authors, they tell me that 99.99% of the books they buy are traditionally published books from widely known publishers and authors that they heard about from friends, feature stories in newspapers and online publications, and from reviews by professional reviewers. While, book bloggers, social media, and reader reviews are making a dent in reader reliance on old-style marketing techniques, people tend to buy and read what they’ve always bought and read unless we show them something better. Yes, we need to show friends and other prospective readers samples of our work so they’ll see that it’s good. But we also need to talk about other self-published and small press books to let people know there’s a lot of stuff to read out there that’s not coming from giant, traditional publishers. Talk about the authors you’ve discovered in the genres you know your friends like. Yes, we need to converse with other people in “real life” and in the social media, but unless (or until) you’re a celebrity, most people other than your closest friends don’t care what you’re having for dinner tonight or how many times a day your cat threw up a hairball. We need to be accessible while maintaining the ability to morph our off-line and online presence into that of a professional writer. Naturally, we need to begin with the best book we can write and design. While a small press will usually provide professional editing, formatting and cover design, you will either have to learn how to do such things or pay somebody else to do them if you self-publish. Since the book will be competing with professionally edited and designed books, asking your kids to create the cover artwork with crayons or your spouse to look through the manuscript for typos isn’t going to cut it. Part of your investment in your book may well include hiring a professional cover designer and editor or finding some very talented beginners or students who will provide great work at a lower cost. Maybe you can barter with other professionals: you write their news releases and they copy edit your books. Developing an online persona in blogs, social media sites, and our own websites can easily trap us into an overall approach that appears to be ALL ABOUT ME. While we’re writing the book, we’re focused on the story and how can best tell it. Sure, some people are curious about such things. But, too much of that, and their eyes glaze over. Yes, an author’s fame helps sell books. Some people will buy everything their favorite author writes as long as it’s good. Prospective new readers will, however, read the reviews, the interviews and the feature stories about an author’s new book. When presented with thousands of prospective books a month, most of us are more likely to reject a book than to try it out. Why? We don’t have time to study each book in depth, so we weed them out quickly. . .wrong price, wrong genre, uninteresting story, unattractive cover. In short, there’s nothing in it for us. Take your best shot fast with something interesting that stops that rejection train. This leads to the true focus of our pitch. It’s not ALL ABOUT ME, it’s ALL ABOUT YOU. We need to show prospective readers the book’s features and benefits. Show them in everything you say and do, including the book’s online description and back-cover copy, what’s in it for them. Avoid blog interviews that rely on generic questions unless there’s a wide variety of them and you get to choose which ones to answer. More often than not, generic questions such as When did you first know you wanted to be a writer and Are you a plotter or a pantser make you sound like an amateur. Plus, they focus on you, your issues, and your writer’s journey rather than what’s in the book for the reader to enjoy. Readers were attracted to Rowling’s books before they were attracted to her story about writing them. The story in your novel comes before the story of your life. Sorry about this, but saying you’re a work-at-home mom, an avid reader, or a dad who makes up bedtime stories for his kids isn’t going to sell your book. First, there’s nothing unique about any of that. Those are not the prerequisites for becoming a writer no matter how important they are in your own life. Second, focusing on your personal life is still ALL ABOUT ME. Focus on hobbies, avocations, and career information that not only shows the reader you’re deeply involved and knowledgeable about the people, places and themes in your books, but that you share a common ground. Success Breeds Interest. That’s a long-time proverb from management and supervision courses. I think it’s true of writers and how they relate to the public. Even if we’re not selling loads of books, being negative online about one’s lot in life doesn’t make us very attractive. Obviously, lack-of-success probably breeds apathy. So, a positive approach is the basis of a successful platform. Many writers disagree with me, but I think it’s bad form to ask for reviews and for readers to tell their friends about your book. That sounds like lack of success to me for, if people like your book, they’ll spread the word without being asked. If you’re having trouble with your publisher, your editor, your cover designer, with Amazon, or with anyone else, save comments about that to writers’ forums and private messages. There’s a double standard here, I know: if J.K. Rowling sues somebody, it’s news–if indie writers complain, it’s unattractive and unsuccessful sour grapes. Don’t bash your publisher online. You are not a charity case even if you’re broke. When I worked with nonprofit organizations, a lot of executive directors thought that if they simply announced an event, the public would show up in record numbers. Why? Because the charity or museum is a good cause. Well, there are hundreds of good causes out there, so using that as one’s rationale isn’t going to draw people to weekend events. Nonprofits have to sell the event. What wonders will the public experience by attending it? What’s in it for them? We show our lack of professionalism and continue the ALL ABOUT ME mindset if we present ourselves as people who need to be rescued rather than professional writers to be read if we focus our efforts on asking people to help us succeed. This kind of sentimentalism isn’t going to sell books. Count on it. If you say you’re broke, it suggests that you’re not any good. If you’re a writer, best of luck finding the combination of publicity techniques and approaches that work for you. If you’re a reader, remember that those of us who focus on storytelling don’t always know how to tell you about our stories. Fall Reading: See anything you like? Once the barrage of lightweight summer books has come and gone, readers’ thoughts to turn fall reading and holiday gifts. To help us make our choices, the usual flurry of best books of the year articles and lists is showing up all over the Internet and in your favorite book stores. For this, you can always start with the list of 101 best books of the year on Publishers Weekly. (The feature has site errors in it, but click on OK and get past them.) Or you can look at USA Today’s list of fall books here. In the crime category, I liked Robert Galbraith’s (J. K. Rowling) The Cuckoo’s Falling and Stephen King’s Joyland. In plays, I liked Elizabeth Clark-Sterne’s On the Doorstep of the Castle. Also, Tracy R. Franklin’s strong collection of poetry and essays Looking for the Sun Door is a beautiful book. And, since a short story of mine appears in the anthology, I have to mention Spirits of St. Louis: Missouri Ghost Stories. Of course, I wouldn’t mind if you clicked on the banner below to take a look at my new contemporary fantasy The Betrayed. I hope you find plenty out there for your to-be-read list and for the lists of your friends and family. Malcolm: Welcome back! In your new novel Blessed Are the Wholly Broken, you move away from the Appalachian Mountain families in “The Cedar Hollow Series” to Phillip and Anna Lewinsky, a modern-day urban couple, living in Memphis. As an author, how difficult was it to shift away from the prospective “comfort zone” of an on-going series with known characters and established settings to a new environment featuring students graduating from college who are ready for careers and family life? Melinda: Thanks for having me back, Malcolm. It was difficult, but I also felt it was time. There may be other Cedar Hollow stories, but the story of Phillip and Anna Lewinsky had been rattling around in my head for some time. I had also wanted to write a story set in the area of Tennessee in which I grew up, so that was fun. It was also fun to revisit the University of Memphis on Memphis’ rainiest day of 1989. I remember that day well. I was really tired of the rain, of being cold, and of getting soaked on my walks to both class and work. Malcolm: At the beginning of the book, you quote a line from “In Place of a Curse,” a signature poem by John Ciardi: “They who are wholly broken, and they in whom mercy is understanding, I shall embrace at once and lead to pillows in heaven.” In addition to suggesting a unique title for your novel, how does this sentiment set the stage for the story to come? I wanted to explore that dynamic, the path one might travel that could lead from euphoria to despair, from hopeful to hopeless. Malcolm: Asking a therapist why s/he writes about characters with deeply rooted psychological problems probably makes as much sense as asking a composer why s/he writes about characters who are struggling with a symphony. 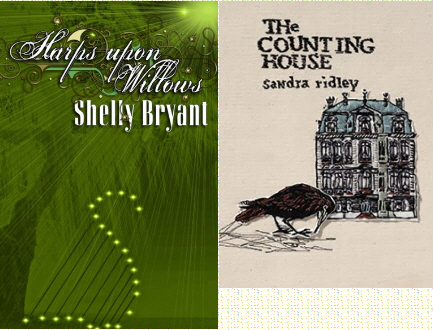 Yet, as I think about both “The Cedar Hollow Series” and Blessed Are the Wholly Broken, I can’t help but see the books’ characters as almost being—as we say in the South—“too broke to fix.” In addition to the page-turning read we all look for, do you think these novels will also help provide closure for readers who know people who seem wholly broken and/or who often feel they might be wholly broken? Melinda: Wow, I might have to think about that for a minute! I think the “broken” characters in the Cedar Hollow Series have within them some spark of hope, enough, at least, to compel them to continue moving forward. One reviewer remarked that she loved it that those books all ended on a hopeful note, a type of new beginning for the characters. If there’s a message to those books, it might be something along the lines of each cloud having a silver lining, or there being a light at the end of the tunnel. Never give up; this too shall pass, etc. I think Blessed Are the Wholly Broken is different in that within the first page, we know Phillip Lewinsky has been found guilty of the murder of his wife. One of the beta-readers called me midway through reading and said, “But he’s going to get out, right?” She found him to be a sympathetic, likable character and wanted a happy ending for him. I suppose a philosophical argument could be made that in a paradoxical sort of way, he was happy with the ending and he did find the closure he was looking for, but the writing of Wholly Broken was more about an examination of the unraveling of a life than it was about reaching closure. Malcolm: How do prospective wholly broken people/characters impact the therapist/novelist? Melinda: In some ways, the impact is the same for both the therapist and the novelist, in that I’ve always been fascinated by trying to discover what makes us all tick. Behavioral theory would say we don’t engage in a behavior unless we’re getting something out of that behavior. Maybe we’re being positively reinforced in some way, or maybe we’re trying to avoid something uncomfortable. That’s overly simplistic, but I think for the most part, it’s true. As a therapist, part of finding the solution lies in finding the why of the behavior. Once a person recognizes and understands the purpose behind their behavior, they can choose whether or not they want to change it. As a novelist, it’s fun to work to tie together a character’s motivations, choices, and decisions with their ultimate outcome. Malcolm: After readers learn on the first page of Blessed Are the Wholly Broken that a crime has been committed, the novel moves about quickly from one time to another and from one place to another rather like a “whodunit.” I felt like I was reading a detective story. How did you approach your research for this, especially that involving medical, police, prison and courtroom procedures? 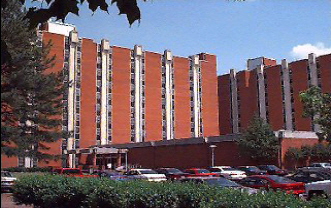 The dorms at Memphis State University (now U of M) where Phillip and Anna meet. Melinda: This novel, by far, required more research than all three of my previous novels put together. I spent time both talking with and emailing medical and legal experts as well as making several phone calls to the Lauderdale County Jail to make sure I accurately portrayed not only procedures, but physical components of the building. I sent hardcopies of the chapters dealing with medical issues to an expert in the field of microbiology, and chapters dealing with legal and courtroom procedures to the founder of a law firm in New York. I wanted the book to be as true to the regions as possible, so I also researched weather patterns in that area during that time to make sure if it was raining in the novel, it really had rained on that particular day. I pulled up calendars from that time to make sure if court was held on a specific day in the novel, it would have really been held on that day in Ripley, Tennessee. I think I probably spent more time on research than I did on writing. Everyone was incredibly helpful; if there are mistakes, they’re completely my own. Malcolm: While Blessed Are the Wholly Broken was still a work in progress, you formed your own publishing company. How did the becoming a publisher change your perspective about what it takes to prepare and format manuscripts, and to publish and market a book? How did it change your viewpoint as a writer? Did becoming a publisher change your writing habits or approach or were you able to keep your publisher’s hat in the closet until the manuscript was done? Malcolm: Best of luck with Thomas-Jacob Publishing and Blessed Are the Wholly Broken. Where can prospective readers find you your novels on the Internet? Melinda: Thanks, Malcolm! And thanks for the wonderful interview. All of my books can be found through major retailers such as Amazon and Barnes & Noble. They’re also available through Smashwords, Apple, Sony, and Kobo.